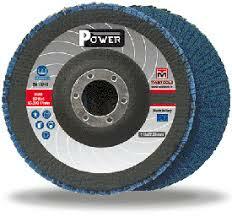 Ideal for professional operations, Power flap discs are the best solution with versatility and efficiency. Available for angle grinders, lamellar discs with a grain size of 40 to 120 are used for operations on steel, stainless steel, cast iron and aluminum. Disc pads are available in fiberglass and plastic.